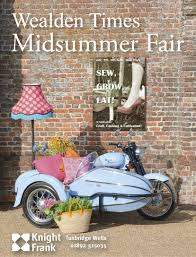 ...Midsummer Fair was back this week, held, once again at Hole Park, Rolvenden. The drive from East Sussex into Kent and "Darling Buds" territory is worth every blowsy, weatherboarded moment. 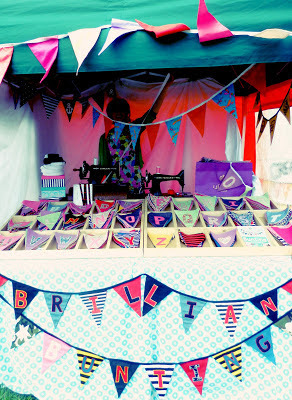 The very first stall I set eyes upon was the Brilliant Bunting Co. And it was just that, brilliant! Customised bunting sewn up while you wait on a vintage Singer, simply choose the letters and style you want , for once the boys options were just as cool as the girls. The last stall I visited was also brilliant. 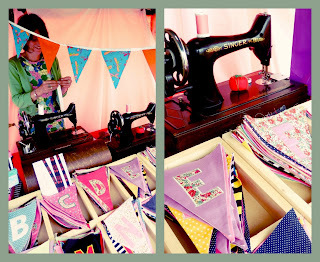 Christa Davis' '40s inspired clothing, blending upcycled cashmere with liberty silks and vintage cottons, was so Down my Lane I could have bundled the lot into the back of my Landrover and happily twirled from now until never~never! In the end I plumped for a cashmere sweater with sequin star panels on the shoulders...L-O-V-E it! Well done to all at the Wealden Times and all the exhibitors it was a gorgeous treat, I especially love that dogs are welcome...I met lots of very handsome specimens...Yes, I mean dogs! The old black lab laying outside the front door of the main house in the sunshine steadily thumping his tail said it all! The fair looks like a lovely day out! I was wondering....are you perhaps a friend of Pippa's (from the B&B in Tenterden)? 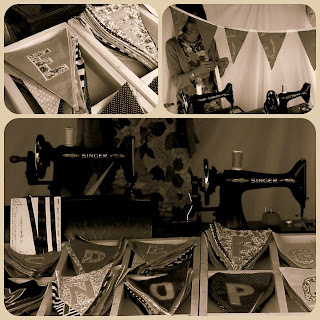 What a wonderful fair, lots to be tempted by! 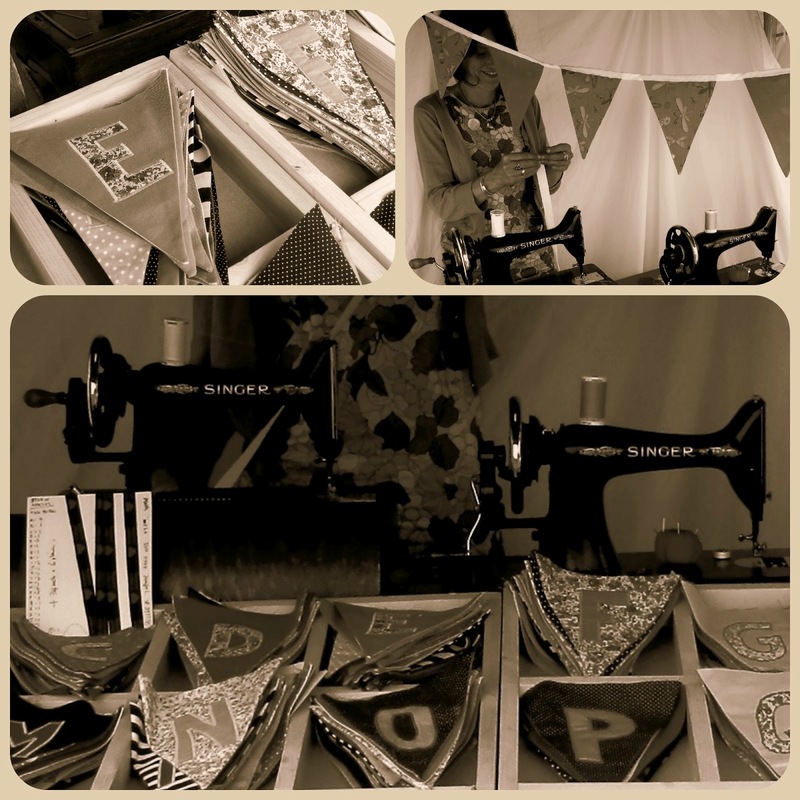 I love a day out meandering through stalls of gorgeousness.